The University of Michigan Comprehensive Cancer Center announced today it entered into a licensing deal with personalized cancer care company Tempus to commercialize its MI-ONCOSEQ cancer panel. The panel developed under the leadership of U of M’s Arul Chinnaiyan, M.D., Ph.D., is designed to help find new treatment options for cancer patients for whom there is either no standard of care, or the standard of care has not proven effective. The panel, which has been used at the University of Michigan to guide the care of hundreds of metastatic cancer patients, will now be available to health systems and oncologists nationwide, via the deal with Tempus. Using the MI-ONCOSEQ platform, clinicians can sequence germline and tumor DNA as well as the RNA of the tumor. The data obtained can then be used to guide oncologists’ recommendations of enrolling a patient in a clinical trial or to provide targeted therapies based on the molecular profile of each patient’s tumor. For Chicago-based Tempus, gaining the license to market MI-ONCOSEQ is an important building block for the new company as it looks to build a product and service offering to health systems and oncologists for clinical decision support based on molecular data, phenotypic data analyzed in conjunction with patient health data contained in their electronic health record. “By taking this clinically validated platform to scale and adding it to a system that builds insight as it grows, health care professionals across the country can now gain a deeper understanding of their patient's tumor, helping them uncover the best treatment options for their patients,” said Eric Lefkofsky, cofounder and CEO of Tempus. The company, which bills itself as enabling “data-driven cancer treatment”, aims to take a big data approach to providing clinical decision support, by allowing clinicians to compare their patients’ molecular profile with the Tempus database of other cancer patients. 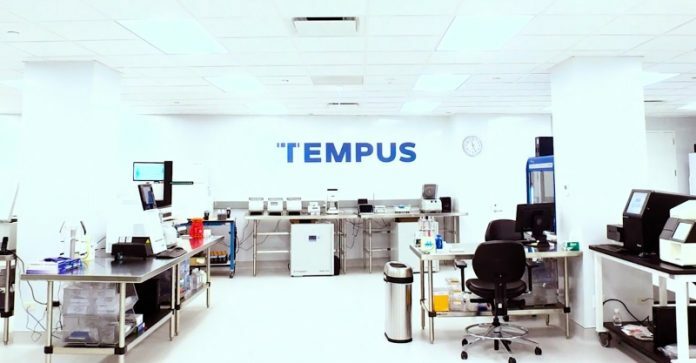 Currently, the company also offers its own targeted cancer panels: Tempus xT a 600-gene tumor panel that targets known actionable mutations, and Tempus xO, which queries more than 1,700 genes known to be linked to various forms of cancer. Late last month, the year-old company inked its first major collaboration with the Robert H. Lurie Comprehensive Cancer Center of Northwestern University, to provide the sequencing services for the center’s OncoSET precision cancer treatment initiative.